Family driving in car . 图库插图: Family driving in car . 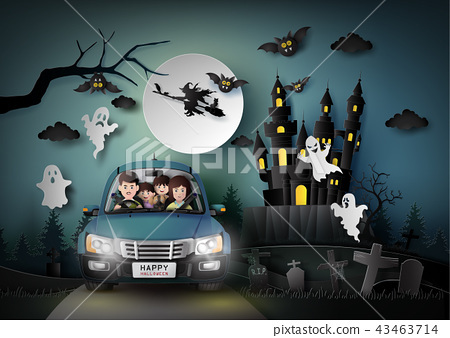 Family driving in car with ghost and graveyard in fullmoon.paper art stlye.